FRANKFURT, Germany--(BUSINESS WIRE)--Materialise NV (Nasdaq:MTLS), a leading provider of Additive Manufacturing (AM) software and services, and Simufact Engineering GmbH, a leading provider of Metal AM process simulation software, announced an OEM license agreement. This collaboration will allow Materialise Magics users to better control the pre-build process by applying Simufact simulation within their familiar data preparation environment. In addition, the support structures in the Simufact Additive software will be represented with Materialise Magics features. Stefaan Motte, Vice President of Software at Materialise, and Michael Wohlmuth, CEO of Simufact, will be holding a press moment to answer questions about this collaboration during formnext at the TCT press conference room on Wednesday, November 15 at 12:15. You can book a demo session or check Simufact’s presentations agenda at the Materialise booth here. Download accompanying press pictures from the Simufact website. Simufact Engineering – an MSC Software company – is a global operating software company providing process simulation products and services to manufacturing industries. Today, after more than 20 years of developing and supporting simulation solutions for the design and optimization of manufacturing techniques in metal processing, the Hamburg (Germany) headquartered company has established as one of the leaders in this business area. Simufact succeeds in extending its global market share backed up by a dynamically growing customer base exceeding a number of 700 customers. A strong and continuously growing network composed of local offices and channel partners ensures global support. The software primarily aims at the automotive industry, mechanical engineering, aerospace industry and their respective suppliers. Typical fields of application for Simufact software are hot forging, cold forming, sheet metal forming, rolling, ring rolling, open die forging, mechanical joining, heat treatment, different welding processes, and additive manufacturing. Learn more at simufact.com and follow us @Simufact. Hexagon (Nasdaq Stockholm: HEXA B) has approximately 18,000 employees in 50 countries and net sales of approximately 3.1bn EUR. Learn more at www.hexagon.com and follow us @HexagonAB. 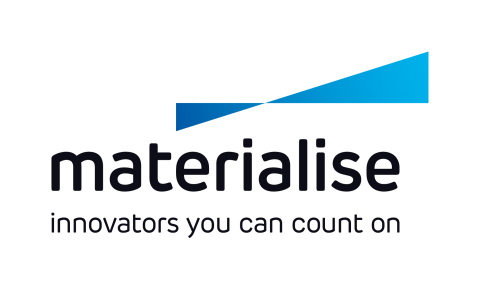 Materialise and Simufact announce an OEM license agreement.